Neutrogena Hydrogel Masks - Hydro Boost Hydrating & Deep Clean Purifying! This month, the Canadian Beauty Bloggers selected Neutrogena as their brand of the month to feature reviews on! I always try and review at least one product from our featured brand, and surprisingly I haven't tried a lot of Neutrogena products, so I was excited to give these masks a try! I like that these are hydrogel masks - they are a thicker, jelly like material on the face. They are a little more cooling than a regular sheet mask; but, also don't last as long on the face when you wear them. Happy Friday everyone! I'm so looking forward to the long weekend (and I have today off too)! I can happily say that Elliott has had an amazing week and actually this week I was awake before him every morning this week (thank goodness!!!) We are actually on our way to Edmonton for the weekend for Damian's basketball tournament! I just received my June Scratch Monthly Mani Kit and I love the wraps this month! 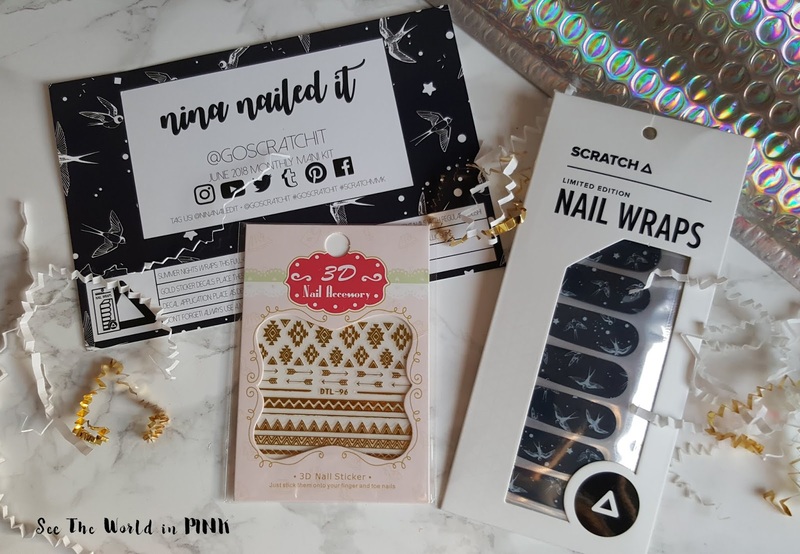 This is a nice, affordable subscription that features nail wraps from GoScrachIt that are exclusive to the kit and designed by NinaNailedIt! June 2018 Boxycharm - Unboxing, Swatches, Try on and Review! This subscription focuses heavily on make-up items - so that is something to keep in mind! 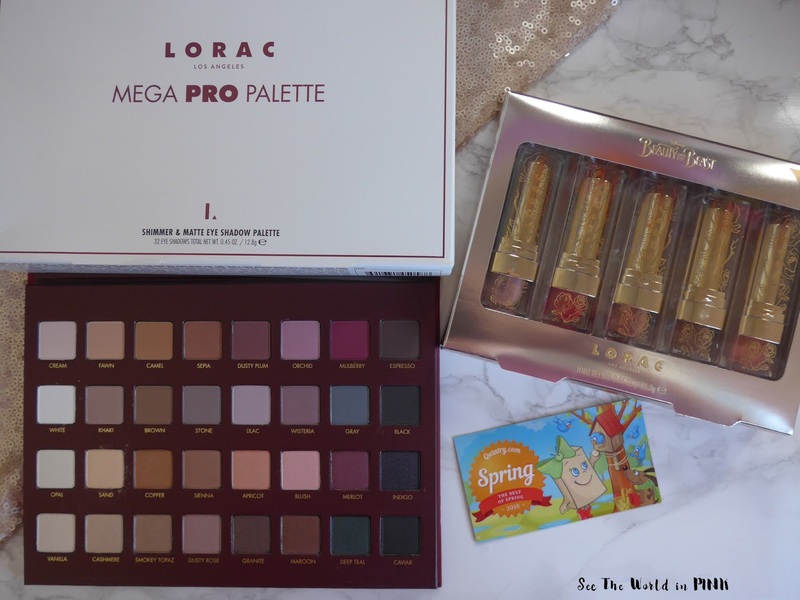 While it is a little pricier than the more inexpensive beauty boxes, the majority of the products are full size, with a deluxe product every once in a while. For the past boxes, every subscriber generally receives the same products, with 1 or 2 items that have a few variations. Boxycharm did recently announce that that they are expanding their personalization, so I think from here on out, we will see even more variations with each box. I personally liked that everyone got the same thing in Boxycharm - I started to get annoyed with other subscriptions when everyone else got products that I had hoped to get. So, it's not my favorite move; but, it makes sense as they are trying to expand. 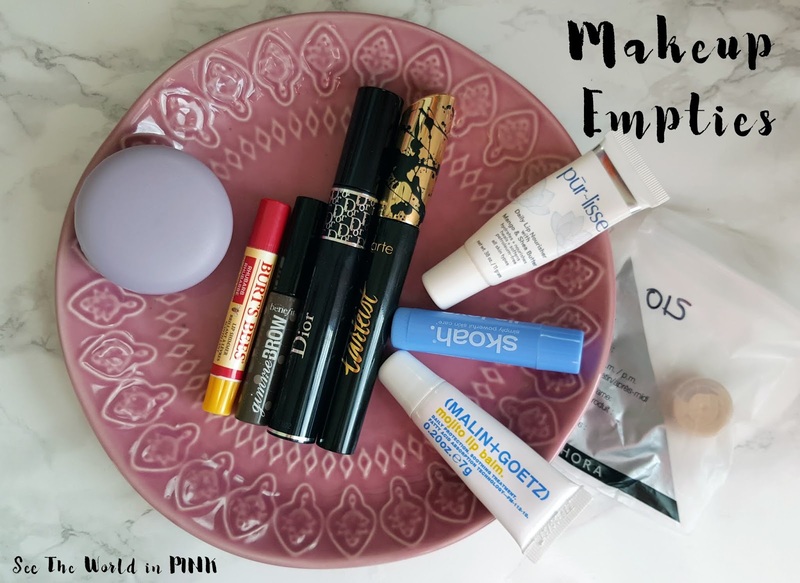 This week again, I am teaming up with Jayne from Cosmetic Proof and Trysh from Prairie Beauty Love - we always pick a theme together and put our own spin on it! It has been so fun as we all have very different styles and interpretations of our weekly theme! Ahh... this past weekend we went and stayed at the in-laws cabin in Fairmont and enjoyed a great weekend with family and friends. 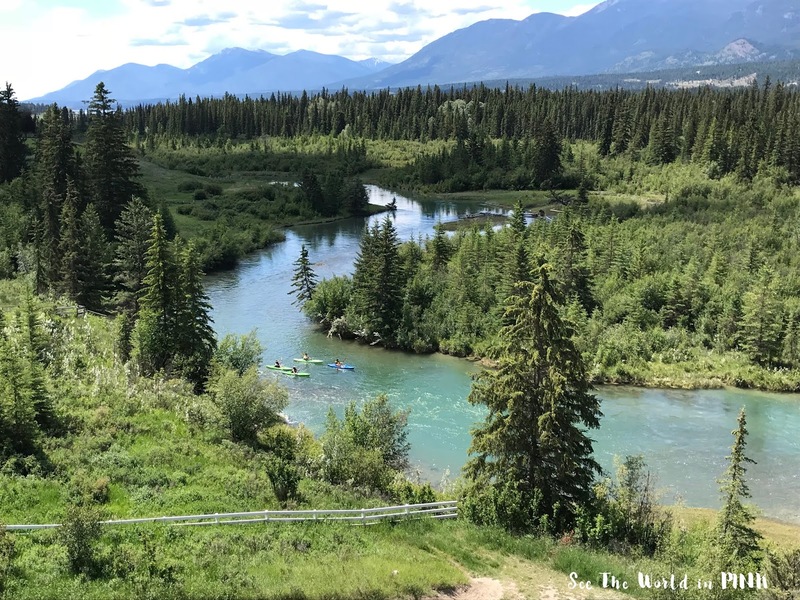 We took the little ones to the Fairmont Hot Springs, kayaked down the Columbia River and enjoyed some relaxing time while we could! 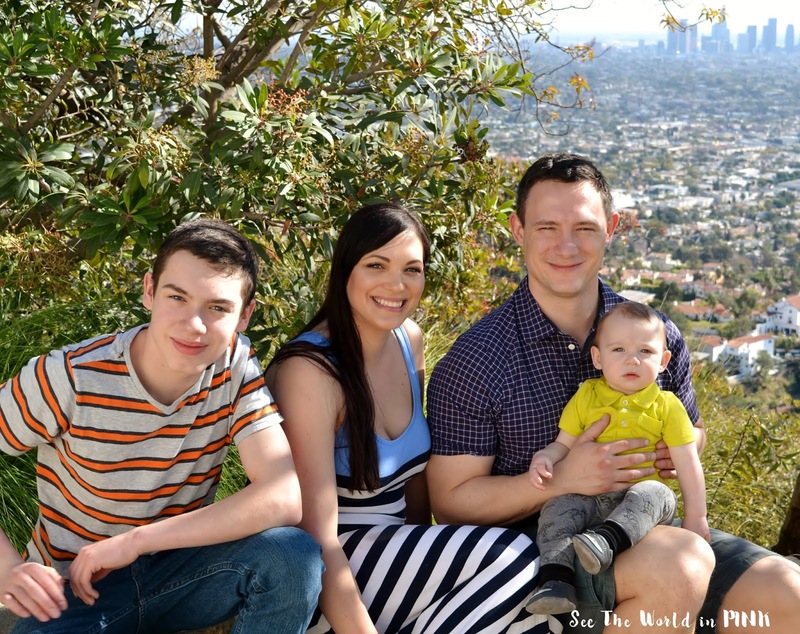 Vichy Ideal Soleil Anti-Shine Dry Touch Lotion SPF60 - Facial Sunscreen Review! Yesterday was officially the First Day of Summer!!! Yay! I'm personally always thinking about SPF; but, if you haven't started thinking of sunscreens yet, you should be now that it is Summer! Vichy Ideal Soleil Anti-Shine Dry Touch Lotion SPF60 ~ $28.95 CAN. High protection sunscreen against UVA/UVB rays, for face, recognized by Canadian Dermatology Association. Long lasting anti-shine effect. 80 minutes water & sweat resistance. Dry touch lotion formulated for an active lifestyle and outdoor activities. It's no secret around here that I'm a big fan of Vichy's skincare, and when a favorite skincare brand puts out a facial sunscreen, I have to try it out! This is said to be anti-shine, dry touch, with a unique formula to help mattify the skin, even in humid weather. This is meant to dry quickly and work to absorb sweat, oil and sebum. 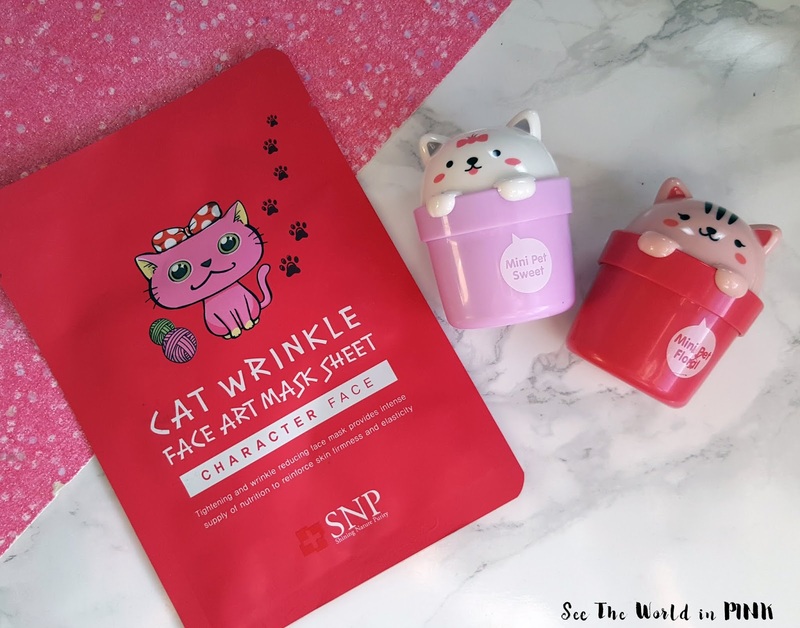 Mask Wednesday - SNP Cat Wrinkle Face Art Mask Sheet Try-on and Review! Happy Mask Wednesday everyone - I have to dive right in to this post; because, does this Cat Mask not look absolutely adorable?! Wait until you see it on! I love character masks! They are hilarious and fun to wear. Also, this one is a kitty cat and it speaks directly to the crazy cat lady in me! I have enjoyed the SNP masks that I have tried. Also, if you are looking for other fun characters to wear, this is a brand to check out, they have everything - otter, tiger, dragon, you name it! Happy Manicure Monday everyone! 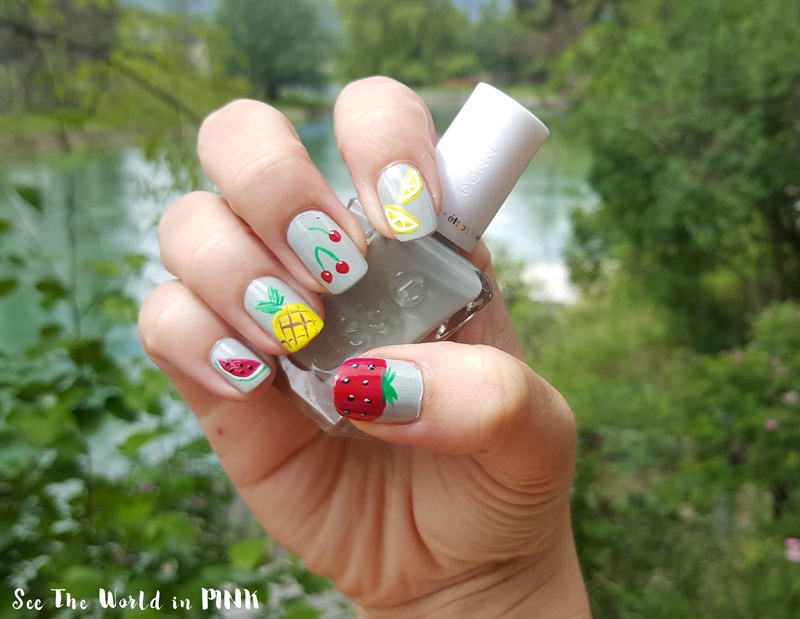 Ahh... my Mani this week just makes me smile - it's so perfect for Summer! Can you believe the first day of Summer is here mid-week! Yay! This past weekend, I saw that ColourPop put their My Little Pony eyeshadow palette on final clearance and said it wouldn't be restocked. So, I ruuuushed to get swatches and a review up over the weekend and went to write the post on Tuesday night and boom, the palette was sold out! I love discovering new, local, beauty companies to support! As much as I love my well known brands, there is something so awesome about helping small, local businesses and finding new products to love! Kytika is a Calgary based company that makes luxury hair care products to protect and smooth your hair! All of their products are paraben free and never tested on animals). And, they currently just ship within Canada. Alright Canadians, have you ever gotten that feeling of total excitement for a product or sale only to be completely let down that the company doesn't ship to Canada?! Happy Manicure Monday everyone! I hope you all have a good week ahead planned - mine is going to busy; but, I'm glad that I have a pretty mani all set to go for the week! 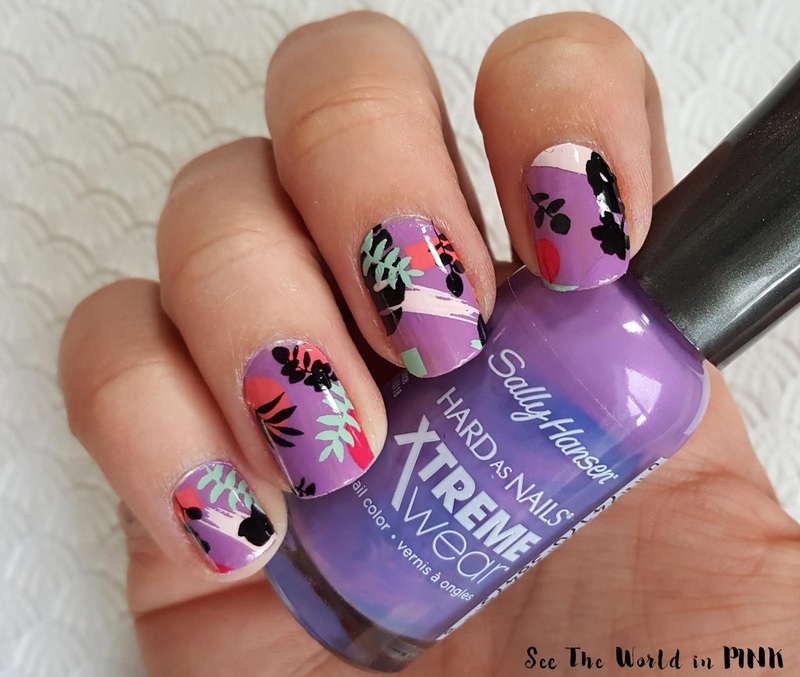 Ahhh - how cute is this combination of the purple polish with these Tropicana wraps over top?! I think they paired even better together than I was expecting! Happy Saturday! Hope you all had a great week - mine was pretty normal! I'm still surviving on minimal sleep. I don't think Elliott has slept later than 5:00 am since I've been back to work. I really hoping he starts sleeping a little later soon - it's making it really hard to be motivated to do anything else after getting home from work! Ugh. Do you guys have a running list of "Brands You Want To Try" - I have and I've identified 5 brands that I really want to try in 2018! On that note - I just picked up my first item to check off one of those brands from my list! 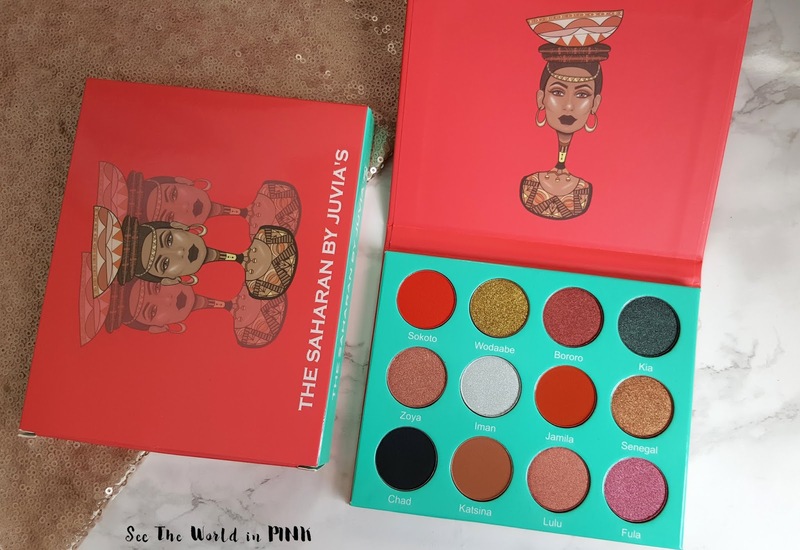 This is The Saharan Palette from Juvia's Place and I'm soooo excited to try this out! It's Skin Macaron Lip Balm in "Grape" ~ $10.67 CAN. Handy lip balm with lovely macaron design and pleasant sweet fragrances. How adorable is this lip balm?! It's a little macaron - I personally don't love potted lip balms because I hate my nails getting goopy but this worked fine. Mask Wednesday - Skinfood Freshmade Watermelon Mask and Ecotools Facial Mask Mates! Happy Mask Wednesday! 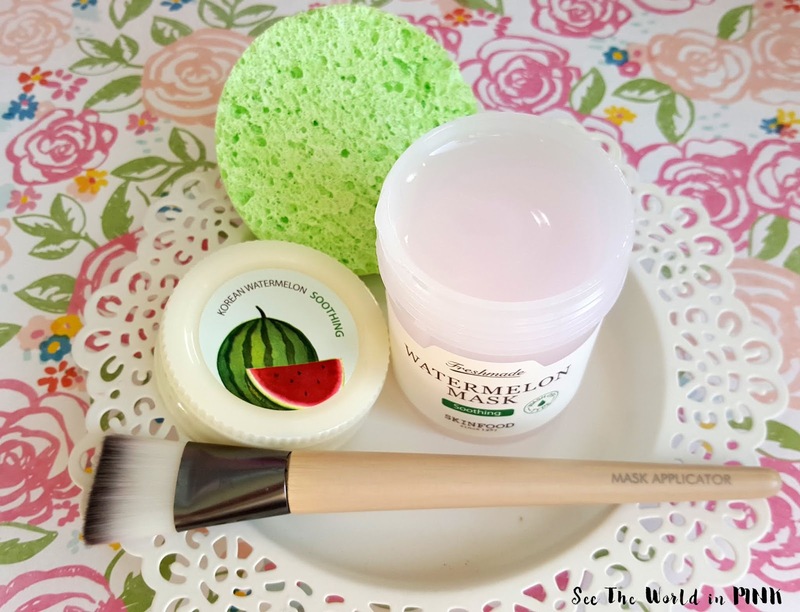 Today's post has a bonus review - i'm sharing my thoughts on the Skinfood Freshmade Watermelon Mask annnnnd the Ecotools Facial Mask Mates set! I have used a plastic mask applicator and spatulas before; but, never an actually brush! I'm really exciting to talk about mask products as well as a new mask! 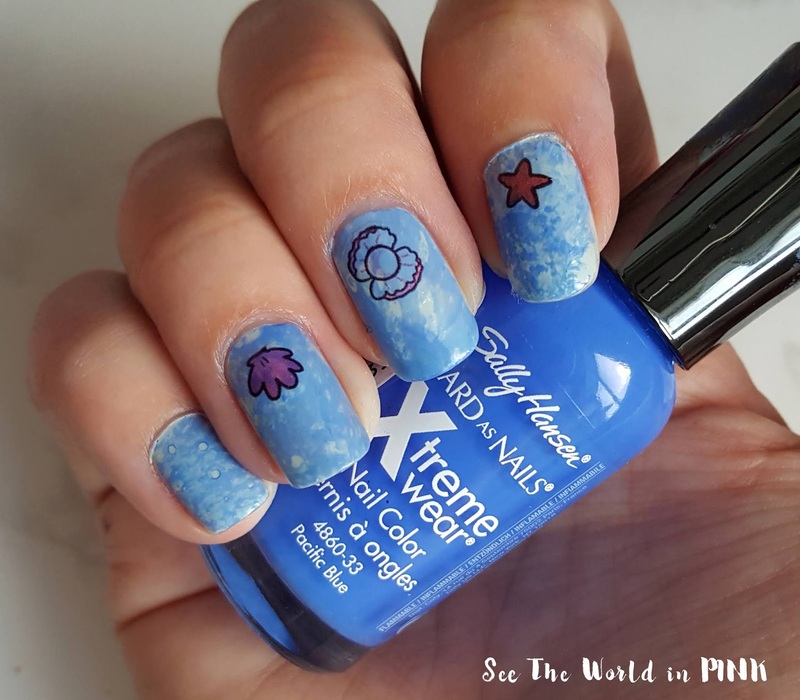 Happy Manicure Monday - can you believe that it is already June?! 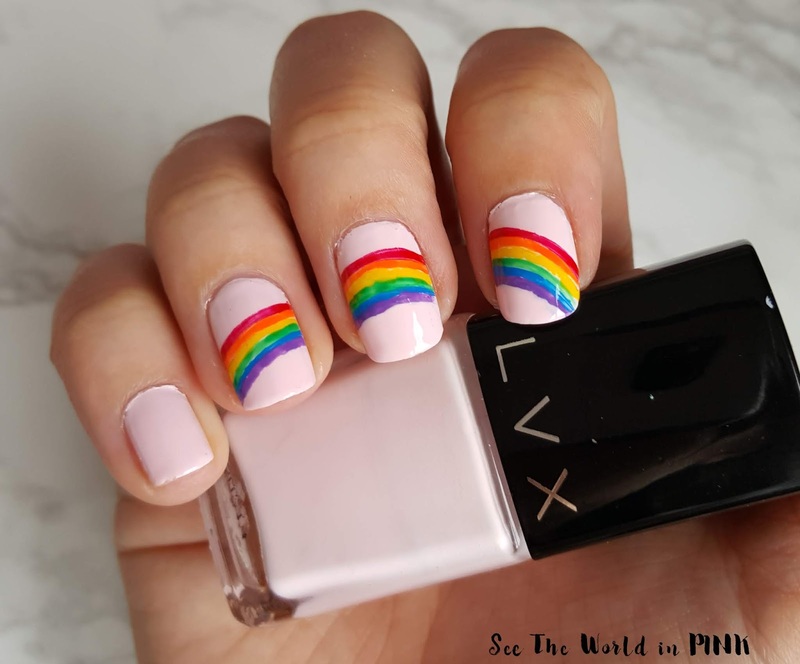 June is also Pride Month, so this week I am doing Rainbow Nails! How cute is this little rainbow across the 3 nails?! I'm super happy with how this nail art turned out - it's really simple; but, super bright and cute! Plus, it's actually really great nail art on short nails, which is perfect because I had to cut off all my nails this week!